Yu Zhou is a Professor of Geography at Vassar College. She received Bachelor’s and Master’s degrees in urban and environmental sciences at Peking University and her Ph.D. in geography at the University of Minnesota. Her research focuses on globalization and high-tech industry in China, and ethnic communities and transnational business networks in the United States. She is the author of the book The inside Story of China’s High-Tech Industry: Making Silicon Valley in Beijing (2008). She has received multiple grants and awards, and was selected as one of the Public Intellectual Fellows by the National Committee on United States-China Relations. William Lazonick is a Professor of Economics and Director of the Center for Industrial Competitiveness at the University of Massachusetts Lowell. He is Co-Founder and President of The Academic-Industry Research Network. Lazonick is also a visiting professor at the University of Ljubljana, the Telecom School of Management, Paris, and the Munk Centre of Global Affairs, University of Toronto. He holds a B.Com. from the University of Toronto, M.S. (Econ) from the London School of Economics, and Ph.D. in economics from Harvard University. In 1991, Uppsala University awarded him an Honorary Doctorate for his work on the theory and history of economic development. Yifei Sun is a Professor of Economic Geography at the Department of Geography, California State University, Northridge. Sun has worked as the principal investigator for two projects supported by the U.S. National Science Foundation. One project examined foreign research and development in China, and the other analyzed technological innovation in China’s information communication technology industries. He has published more than 30 articles in leading international journals such as the Journal of Economic Geography, Technovation, Regional Studies, Environment and Planning A, and the International Journal of Technology Management. 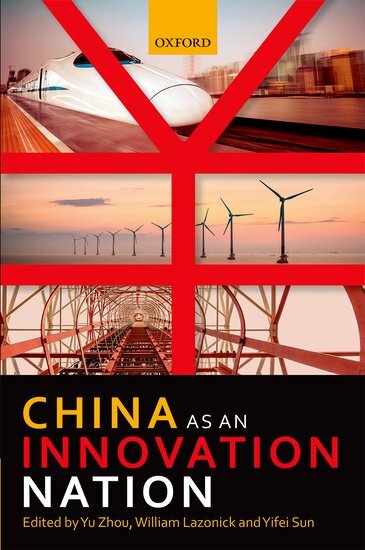 This volume assesses China’s transition to innovation-nation status in terms of social conditions, industry characteristics, and economic impacts over the past three decades, also providing insights into future developments. Defining innovation as the process that generates a higher quality, lower cost product than was previously available, the introductory chapter conceptualizes the theory of an innovation nation and the lessons from Japan and the United States. It outlines the key governance, employment, and investment institutions that China must build for such transition to occur, and examines China’s challenges and strategies to innovate in the era of global production systems. Two succeeding chapters explain the evolving roles of the Chinese state in innovation, and the new landscape of venture capital finance. The remaining chapters provide studies of major industries, which contain analyses of the evolving roles of investment by government agencies and business interests in the process. Included in these studies are traditional industries such as mechanical engineering, railroads, and automobiles; rapidly evolving and internationally highly integrated industries such as information-and-communication-technology (ICT); and newly emerging sectors such as wind and solar energy.